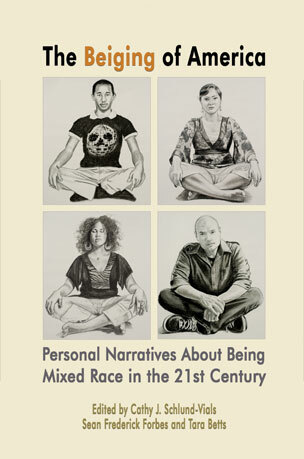 Beiging of America: Personal Narratives About Being Mixed Race in the 21st Century, edited by Cathy J. Schlund-Vials and Tara Betts, at Porter Square Books on February 4, 2019, from 7 to 9 pm. contributors to this “race matters” anthology will share their personal accounts of being mixed race people in the United States: Nadine Knight, Abra Mims, Via Perkins, and series editor Sean Frederick Forbes. Nadine Knight is a professor at Holy Cross College in Worcester. Abra Mims blogs at www.brownmomwhitebaby.com. Via Perkins is a Boston area journalist. Sean Frederick Forbes is series editor of the 2Leaf Press Explorations in Diversity series and director of the creative writing program at the University of Connecticut. The collection of personal narratives by 39 poets, writers, teachers, professors, artists, and activists articulates the complexities of interracial life. This absorbing and thought-provoking collection of stories explores racial identity, alienation, with people often forced to choose between races and cultures in their search for self-identity. While underscoring the complexity of the mixed race experience, they offer a genuine, poignant, enlightening and empowering message to all readers.